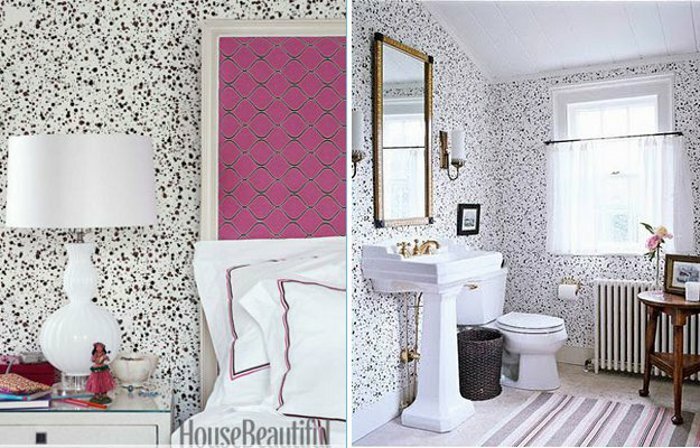 Polka Dots in décor? Yow! 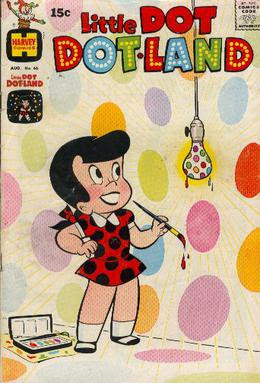 When my Elizabeth was 10 years old or so, she loved certain comics, Little Lotta (a fat little girl) and Little Dot (a girl who loved polka dots to obsession) were her favourites. Well, why not? We all love to eat and everyone should love polka dots or else they’re just strange!!! Look at the price !! Can you buy anything today--non-edible--for 15 cents? Well, the things I love don’t look like the comics, but dotty they are. 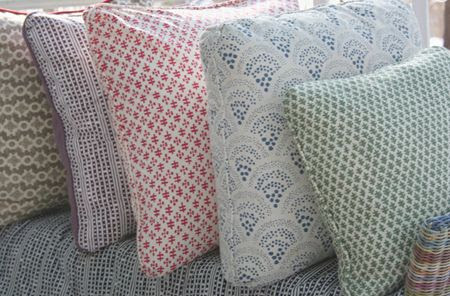 Such as polka dots embroidered in any colour in the rainbow on the scalloped edges of sheets and pillowcases—or for that matter, on the edges of blanket covers or towels. This is “Van" wallpaper, still available, with much frustration and waiting around, from Hinson. Hinson is having problems, but REMEMBER, it’s always worth it to wait for something wonderful. I am using it on the walls of a bedroom here in Palm Beach along with white piqué and red and white seersucker from Holland and Sherry. It will be adorable when it is finished. The chairs pictured above sport a spotted fabric in a room by Albert Hadley, tres chic and very, very fresh. 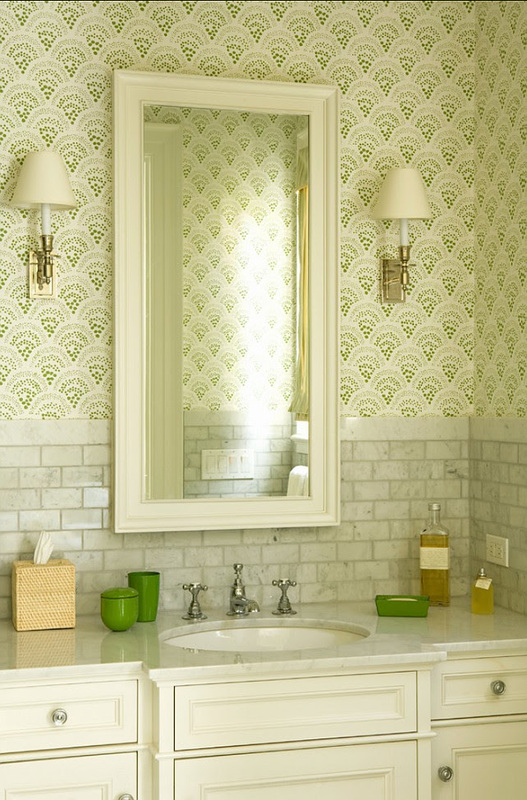 And these wall, a spotted wallpaper, used in both the bedroom and the adjoining bath. 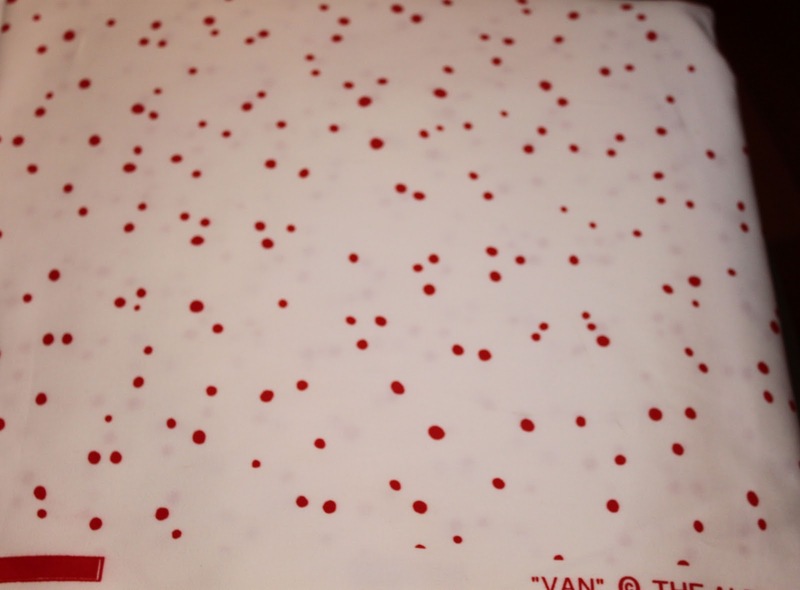 The pattern is “Spatter,” also from Hinson. 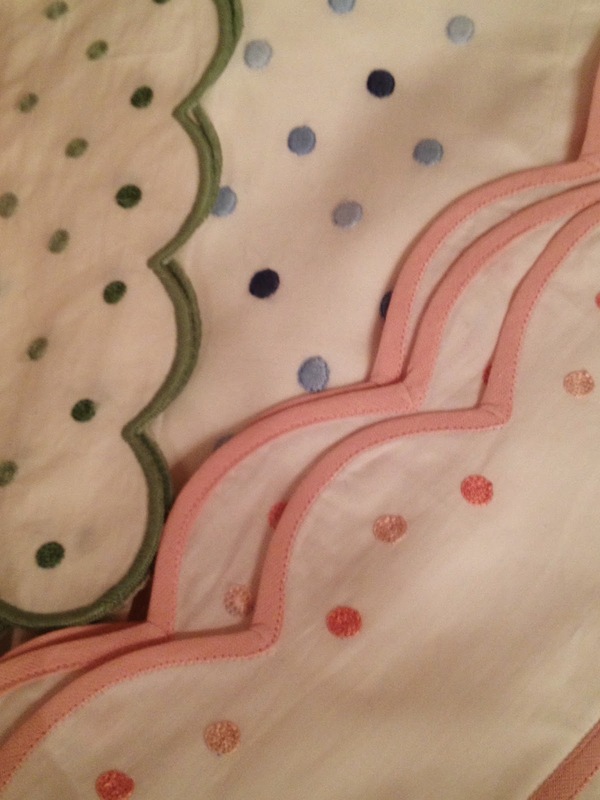 Speaking of Sister Parish, her wonderful grand daughters have used her fabrics and come up with fabulous accessories such as desk blotters and pencil cups and pillows and ice buckets, and so on and so on forever, in all kinds of fabrics including dotted ones such as “Chou Chou” shown below.